France Arise (Debout la France, DLF) is a French political party founded by Nicolas Dupont-Aignan in 1999 under the nameRepublic Arise (Debout la République, DLR) as the “genuine Gaullist” branch of the Rally for the Republic (RPR). It was relaunched again in 2000 and 2002 and held its inaugural congress as an autonomous party in 2008. At the 2014 congress its name was changed to France Arise (Debout la France). It is led by Nicolas Dupont-Aignan and has two seats in the French National Assembly. 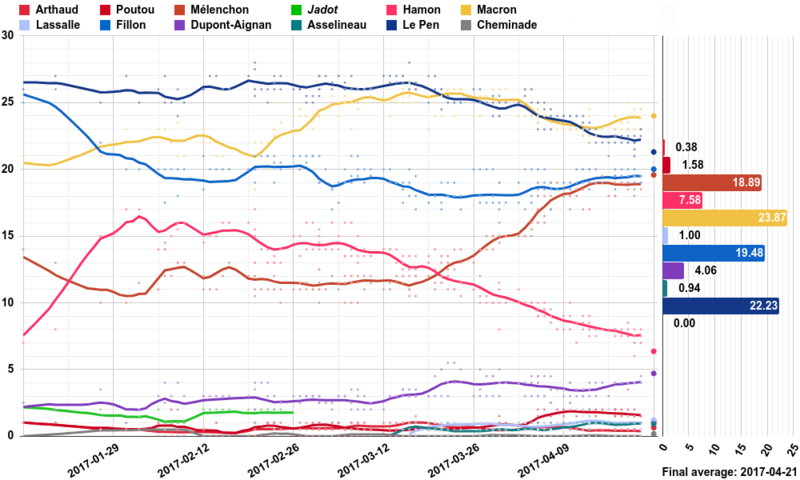 Dupont-Aignan contested the 2012 Presidential election and received 644,043 votes in the first ballot, or 1.79% of the votes cast, finishing seventh. In 2007 he had failed to win the required 500 endorsements from elected officials to run in the 2007 presidential election. He dropped out without endorsing any candidate, not even UMP candidate and former President Nicolas Sarkozy. However, he was re-elected by the first round of the 2007 legislative election as a DLF candidate in his home department of Essonne. The party is a member of EUDemocrats, a eurosceptic transnational European political party. The party has been endorsed byUK Independence Party leader Nigel Farage for many years and both parties were allied for the 2014 European elections. DLF has little electoral support, and its support is concentrated in Dupont-Aignan’s department of Essonne, where the DLF list polled 5.02% in the 2009 European Parliament election and it polled up to 36.14% in his hometown of Yerres The party also polled well in the Île-de-France region (2.44%), the North-West (2.4%) and the East constituency (2.33%). All of these regions include conservative and Gaullist departments. For example, it polled 8.45% in the Gaullist stronghold of Colombey-les-Deux-Églises, Charles de Gaulle’s home village. The party also claims 3 general councillors, and Mayors in four communes: Yerres, Cambrai, Saint-Prix and Ancinnes.